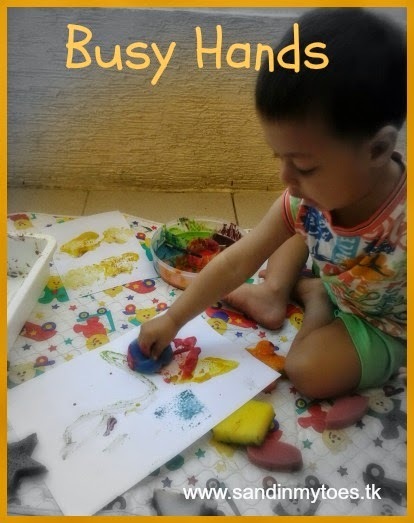 My favourite crafts are the ones where we use recyclables. It makes me feel good about generating less waste, we have fun in the process of making something, and we have a craft to show for it at the end of the day! 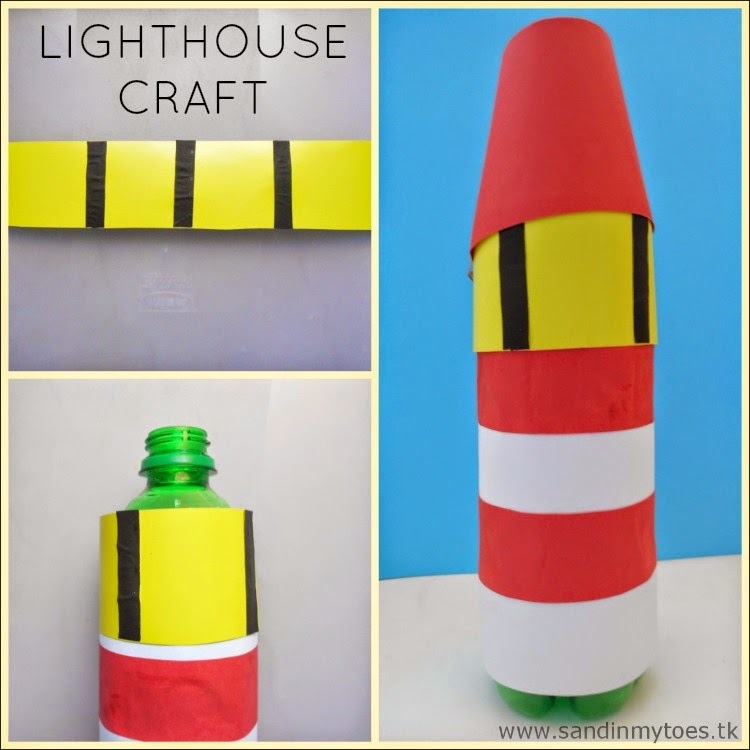 We made this Lighthouse Craft from a plastic soda bottle. 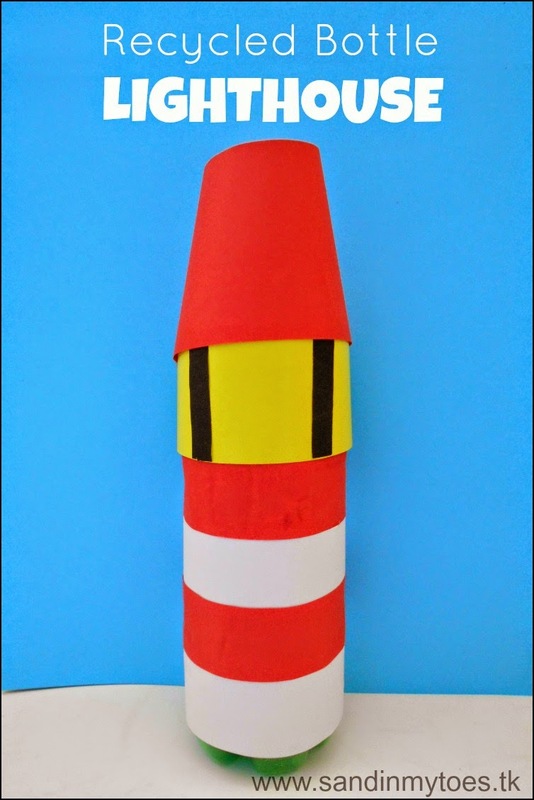 It's an easy version of a lighthouse that toddlers and preschoolers can make without difficulty. 1. Cut out enough white paper to go around the bottle, leaving the curved part. 2. Cut out two strips of red to make the lighthouse, and glue it on equally spaced on the white paper. 3. Wrap this around the bottle and glue at the back. 4. 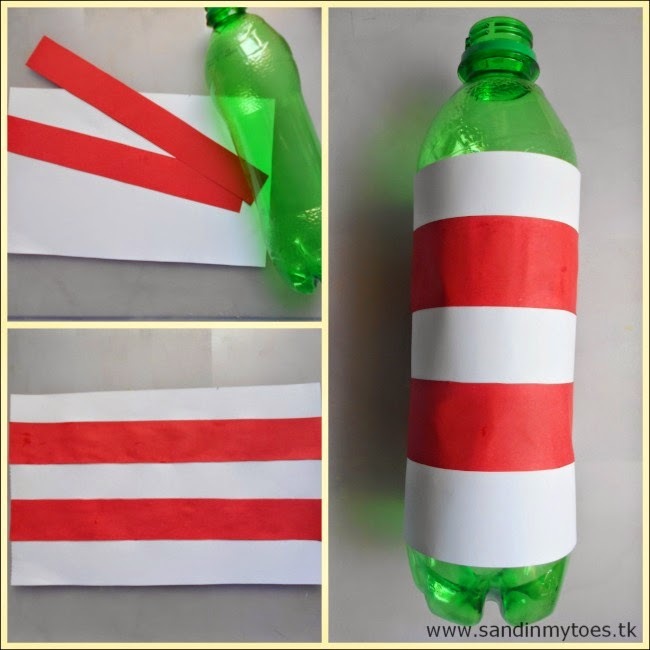 Cut out a yellow strip of paper to go on the bottle around the curve. 5. Glue on small strips of black paper on it, and wrap around the bottle, gluing it at the back. 6. Take another piece of red paper, and tape it curved at the top. It should be sort of like an open cone. It's as simple as that! You lighthouse is ready. That's so cute! This is so timely because we saw a few lighthouses on a recent road trip. Lovely recycled craft. It looks great. This is great - a perfect recycled craft for Earth day! Oh wow, I love seeing lighthouses..so few of them where we live! Wow! What a lovely lighthouse! You could totally try to make this into a rocket! That's good, glad it made you think of a holiday!